When it comes to makeup, things can go two ways - either you’ll look like the queen that you are, or you’ll risk looking like a kid painted your face. That’s why any woman knows that proper light is the key to achieve makeup perfection. Winged eyeliner is not as easy as it looks. For such struggles, find the best lighted vanity mirror and never risk looking like your makeup was applied with two left hands. 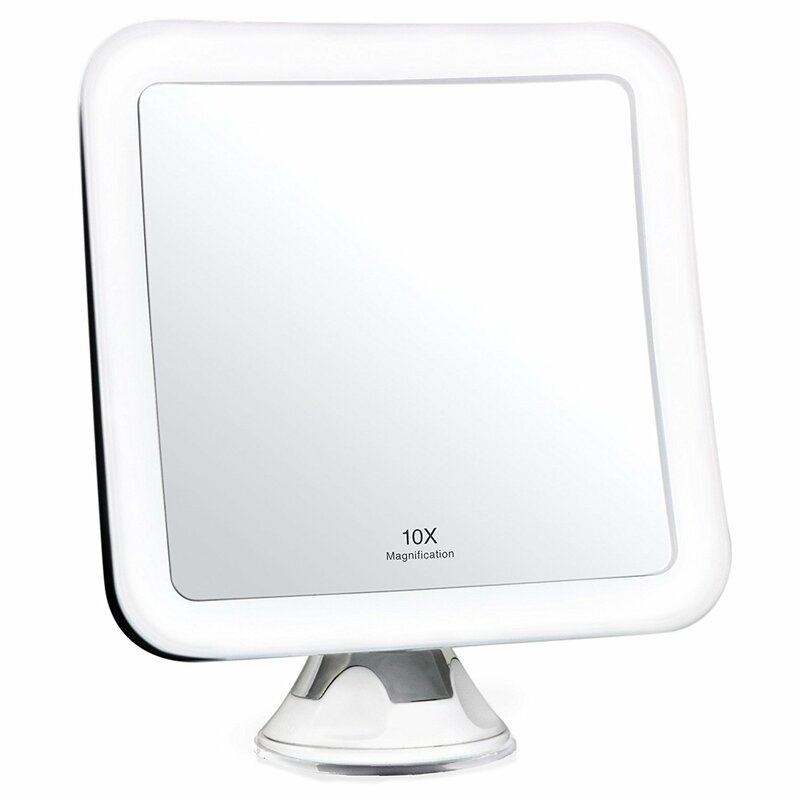 The Floxite daylight cosmetic mirror comes in two versions – 10x or 8x Mag. The best thing about this mirror is the fact that you can do your makeup from dusk till dawn – on daylight mode. It is fully adjustable to any viewing angle and, thanks to its compact design, you won’t even notice it is there. 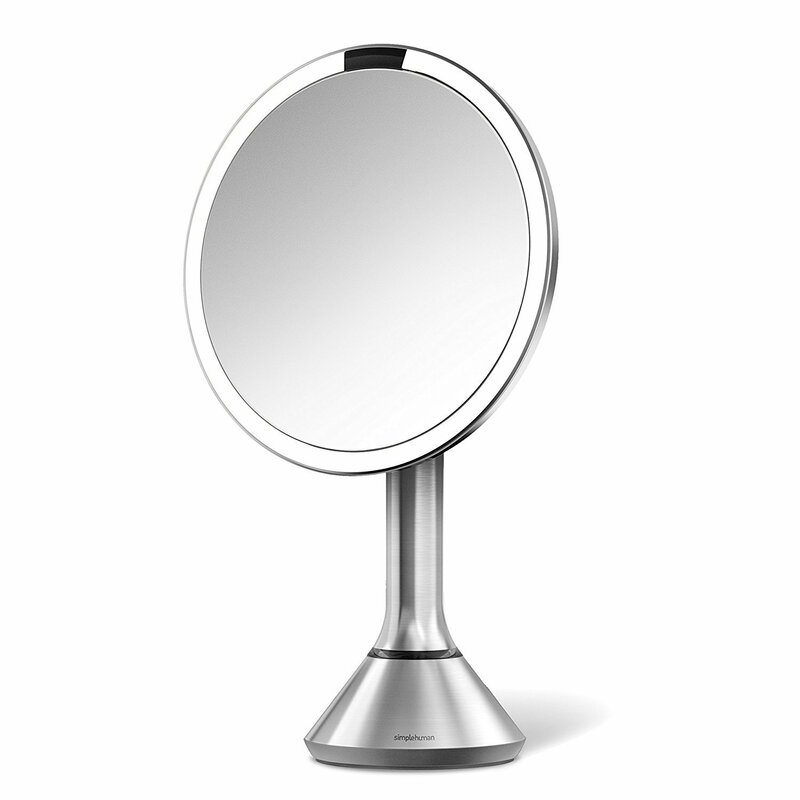 The Simplehuman makeup mirror comes with everything you need in a mirror – and more. If you are used to smart technology, then you are going to love this mirror. It lights up as your face approaches and can mimic natural daylight for flawless makeup while allowing you to see full-color variation. The Fancii mirror is nothing less than fancy. It comes with 16 bright LEDs that provide natural light. Thanks to its powerful 10x magnification, you can focus on a certain section of your face. This mirror is cord-free, so its portability knows no limit, and it can rotate 360 degrees. 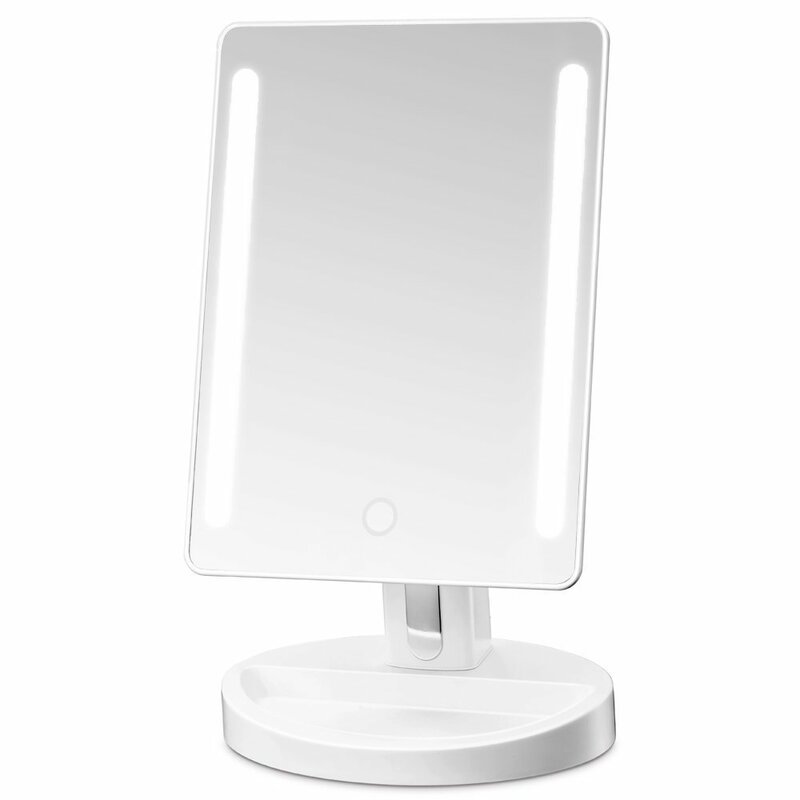 This mirror is a cordless LED lighted wall makeup mirror. It features endless 360 mirror head rotation and comes with dual magnification. Zadro cares about energy-efficiency, and its LED lighting consumes up to 70% less electricity. Thanks to the three panels this mirror comes with, you can see your facial features clearly and from any angle. The 21pcs LED lights allow you to use this mirror even in the darkest of areas. 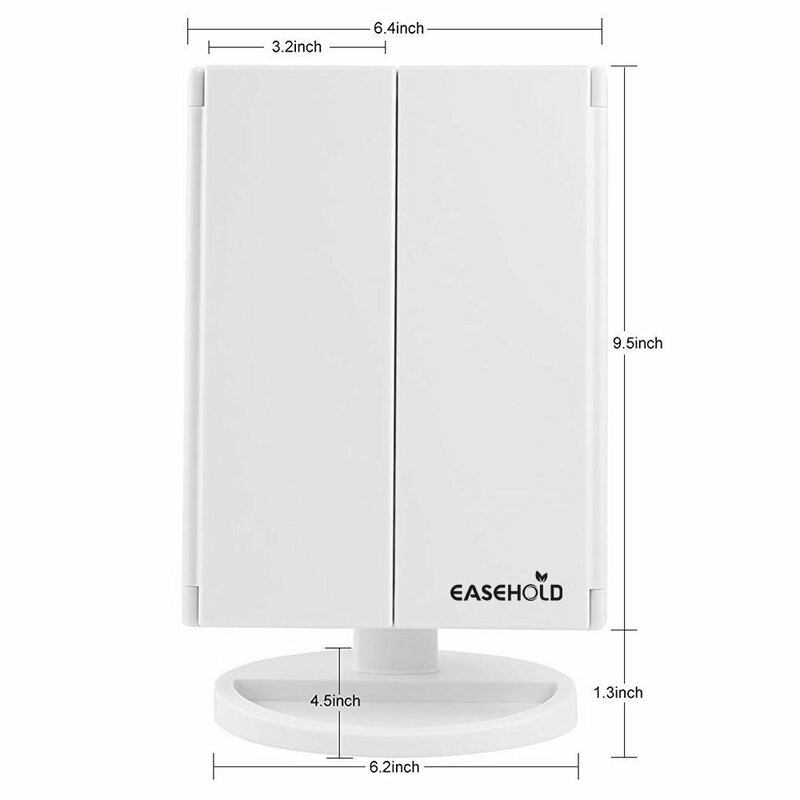 The Easehold mirror is a tabletop mirror which can be rotated 180 degrees thus ensuring perfect viewing angle. It doubles as a jewelry holder since its Base Recess can hold watches, earrings, bracelets, etc. 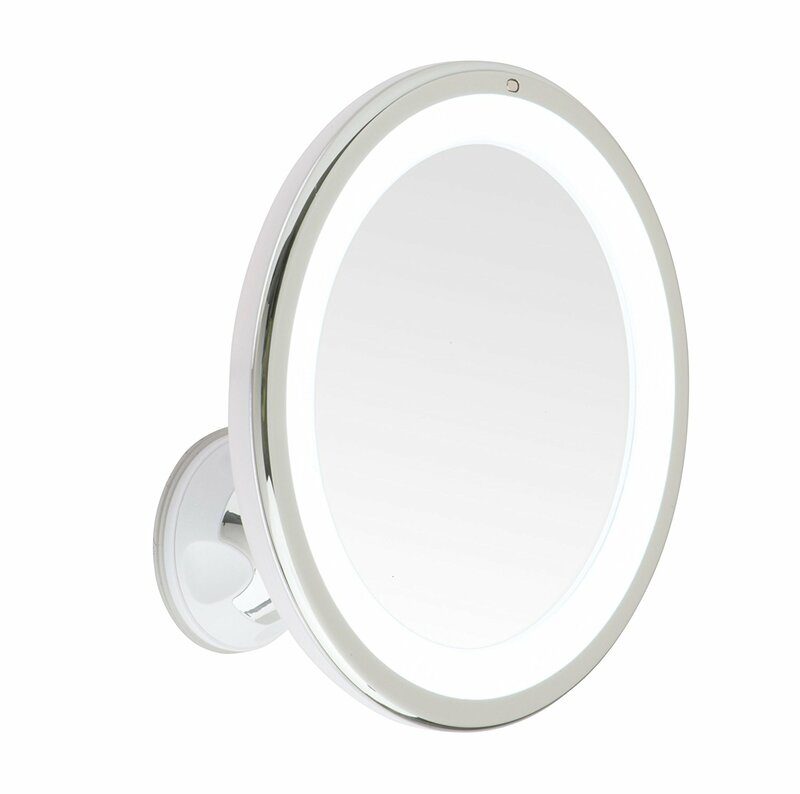 The Jerdon HL165CD is one of the best lighted makeup mirrors. It’s so convenient that is often used in hotels and spas. It provides close-up magnification and features 360-degree swivel design to make sure your makeup is in place. 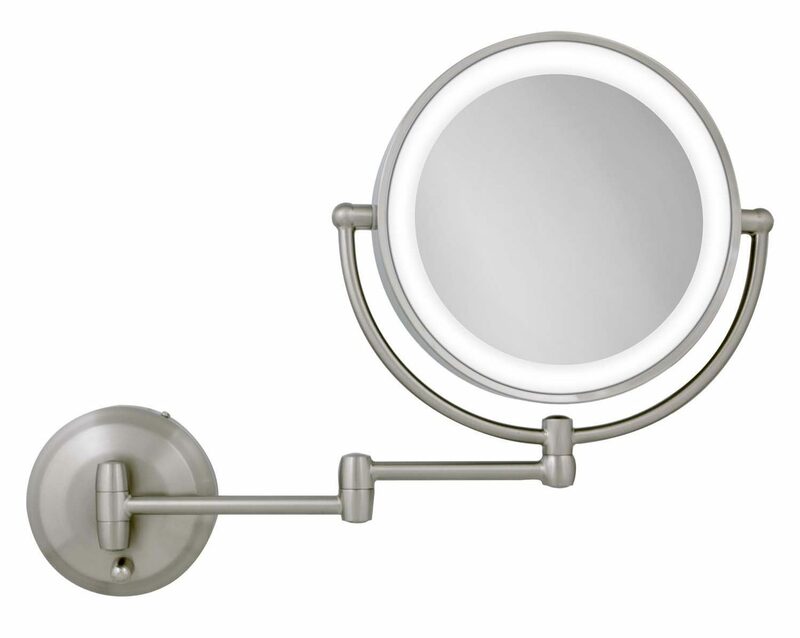 The Jerdon lighted wall mount mirror can extend up to 9.5 inches from the wall. It is cordless and saves a lot of floor space. If you are looking for a mirror that is bright enough for precise makeup application, this is just the one. Because of its tri-fold design, you can get a perfect panoramic view of your face, and it is very convenient for traveling. 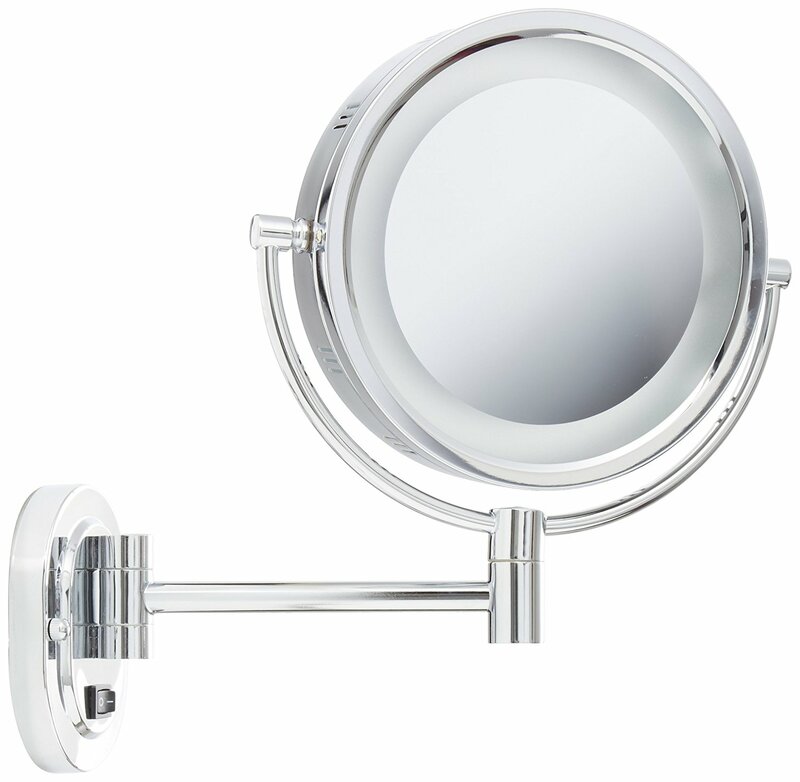 Similarly to the Easehold Tri-Fold Lighted Vanity Mirror, this one also doubles as a jewelry holder. This two-sided mirror provides enough light for flawless makeup. It rotates 360 degrees for 1x viewing or 7x magnification. The reflection glass doesn’t fog up, and if you get your fingers all over this mirror, you can easily put it in the dishwasher. If you want to purchase this lighted makeup mirror, Walmart probably has it in stock. 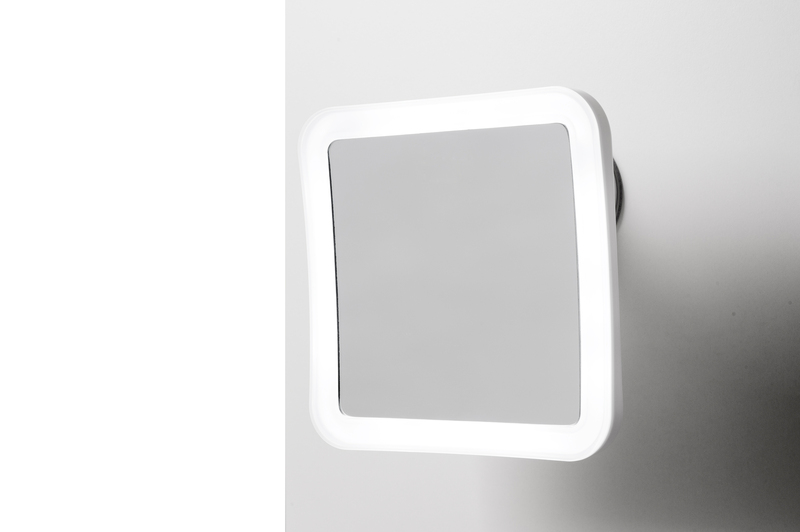 The Secura vanity mirror secures an optimal use of the mirrored surface. It can be installed on any clean surface which allows zero counter space usage, and it is easily attached and detached. Thanks to its 360-degree swiveling base you can see every side of your face. Finally, it comes with 16 natural warm and white LED lights. 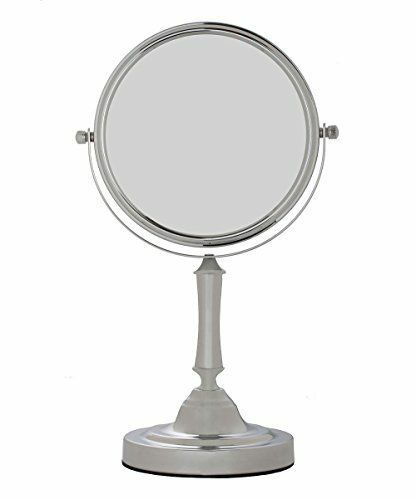 Broadway Vanity’s 25×18- inch quality mirror allows you to see all that needs to be seen while applying makeup. It comes with 13 large dimming light bulbs, and you can easily control the light with its slide dimmer. 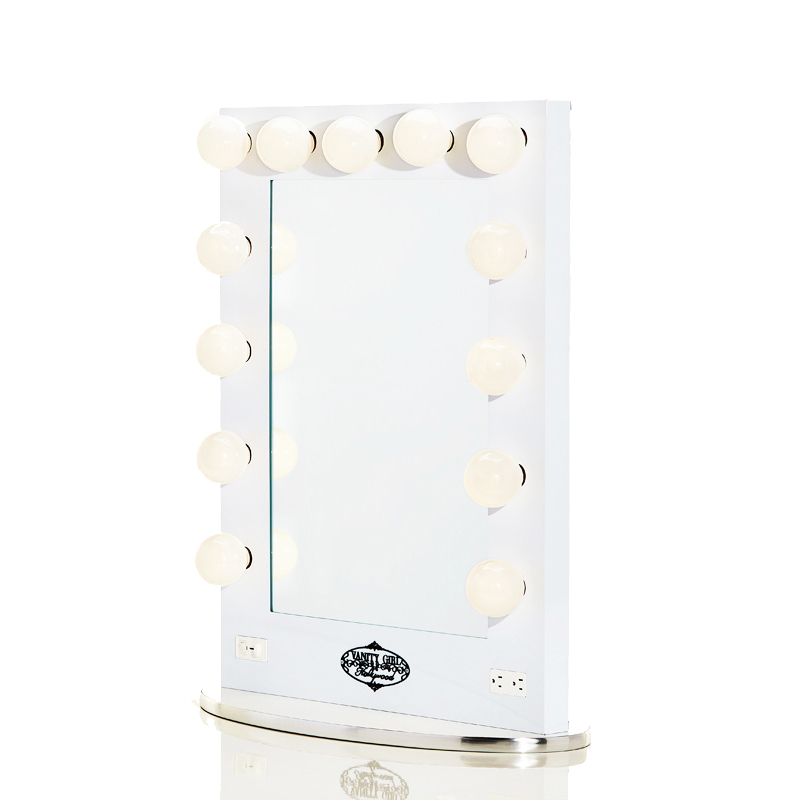 It is one of the best lighted mirror models used by makeup artists worldwide. Likewise, it by far the most expensive model on our list so you could really use one of the Amazon coupons to keep your budget in tact. 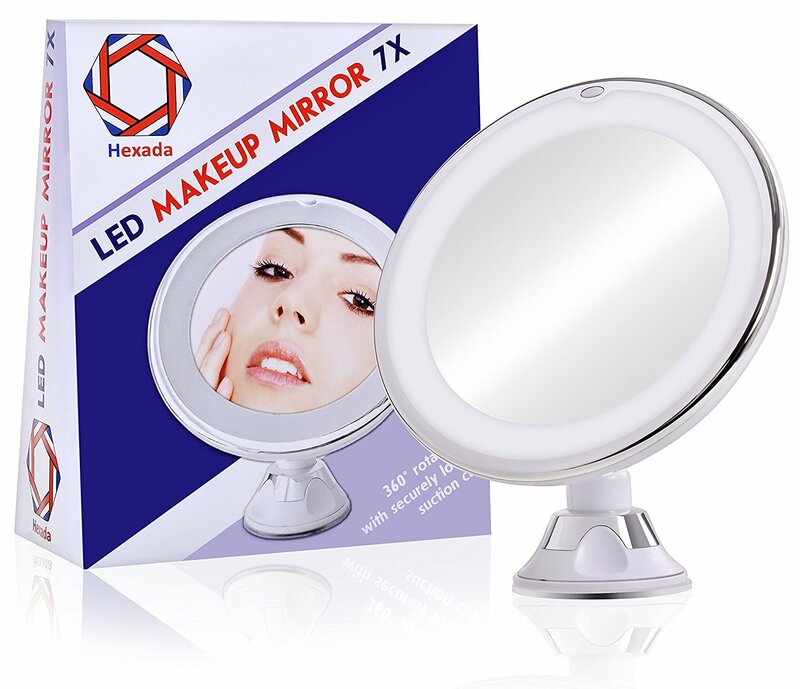 The Hexada mirror focuses on any part of your face with its 7x magnification feature. This mirror allows a firm grip on any smooth surface and can be rotated 360 degrees. It is highly compact, portable, and lightweight which makes it your best traveling buddy. If you are looking for a mirror that will last a lifetime, search no more. Mirrorvana’s lights can last up to 50,000 hours. You can easily adjust its brightness by holding the power switch. It can be used as a wall-mounted mirror or lighted vanity mirror – table. This mirror comes with a 5x magnification for precise makeup application. Simplehuman’s Tru-Lux light system allows natural sunlight and provides full-color variation. It is easily rechargeable with a USB and stores perfectly in its travel case. Thanks to its long-lasting LEDs, the Simplehuman promises longevity and flawless makeup. The Sagler vanity mirror can be used as a vanity mirror with lights for the bedroom, bathroom or any room of the house. This mirror features 360-degree swivel design which allows you to switch between 1x or 10x magnification options. 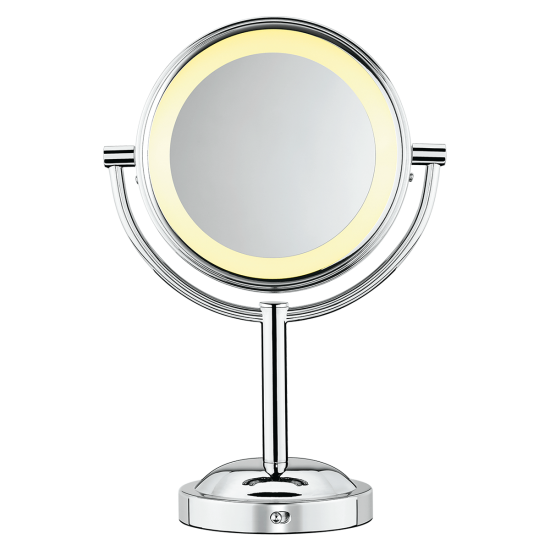 Sagler’s mirror pays extra attention to details and makes sure your makeup is always perfect. Flymei’s 20pcs built-in LED bulbs allow doing your makeup in poorly lit areas. 10x magnification feature is here to make sure your makeup and hair are in place. 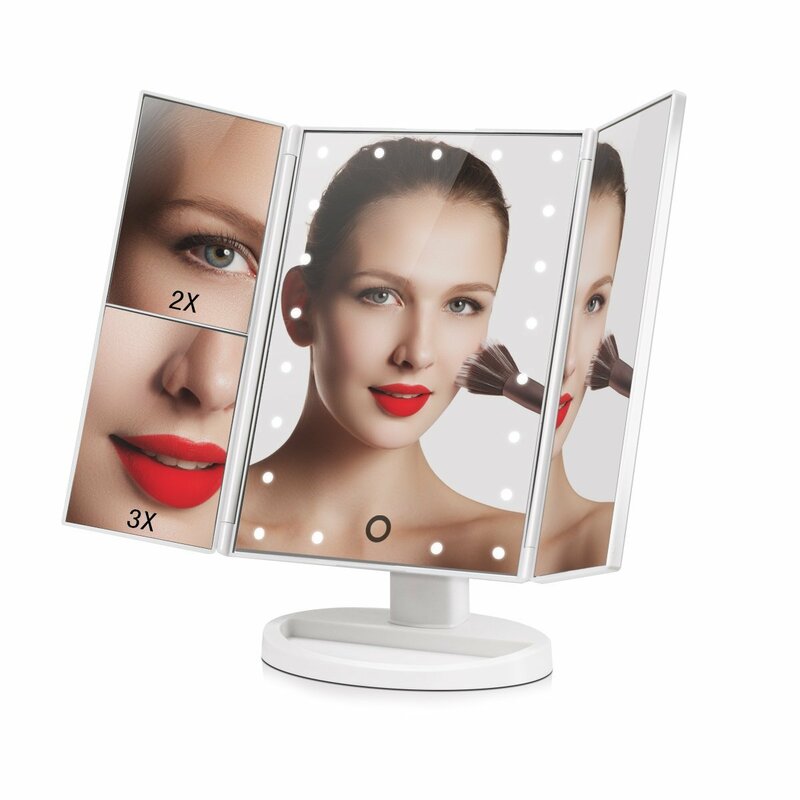 This lighted makeup mirror is rotatable for 180 degrees to give the perfect viewing angle while Flymei’s large screen allows full face view at once. Gotofine’s vanity mirror simulates natural sunlight for the best color view. This mirror allows you to see every detail when doing your makeup, thanks to its 10x magnification feature. It can be easily used anywhere due to its compact and portable design. Since it’s in the higher-pricing region, shopping for this model should be done with applying an appropriate eBay promo code. The magnifying lighted mirrors make it possible to see each pore of your skin. Thanks to these mirrors, you’ll actually see how you look before leaving the house. 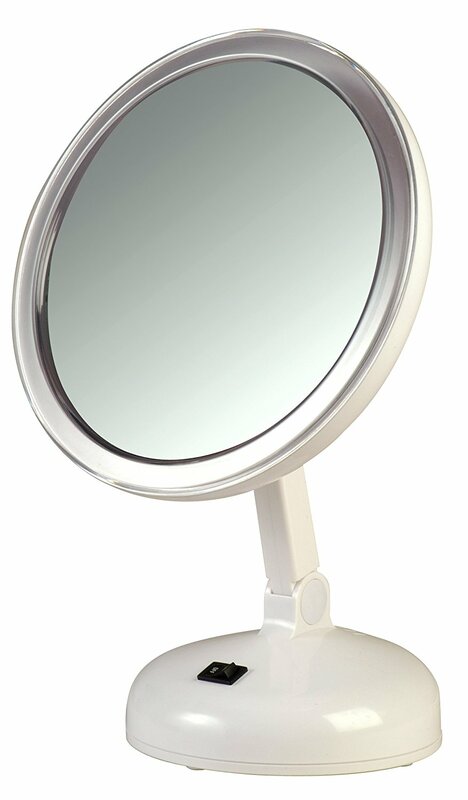 Magnification mirrors provide a clean and up-close image of your makeup. They allow special attention to fine detail and are of big help to women with poor eyesight. A wall mounted lighted makeup mirror offers you the comfort to drag and rotate them until you find the best position that works for you. These mirrors are usually available as wall mounted or hard-wired version. They come with the feature of full viewing and are totally adjustable. 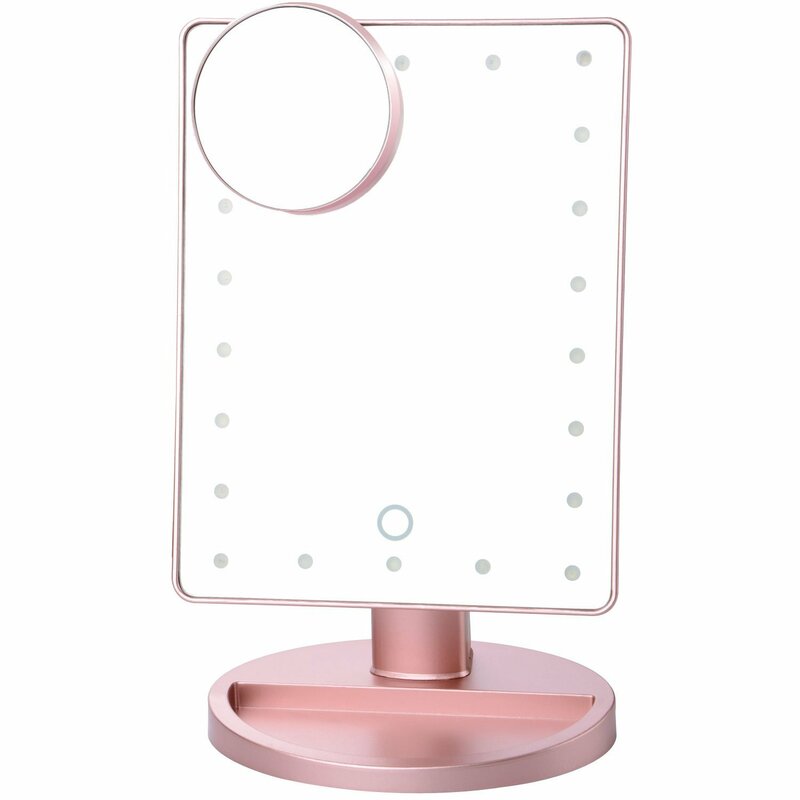 Countertop makeup mirrors with light are made for counters/tables. If you are a free spirit, you can put these mirrors pretty much any flat surface. Handheld mirrors are a must in any household. They come in different shapes and sizes, and their portability knows no limits. Any mirror that features a simple design and doesn’t take up a lot of space is a good traveling companion. Luckily, most of the lighted makeup mirrors nowadays are designed for traveling. Shower makeup mirrors allow powerful suction so they can be used in the shower. There are a few aspects that you need to consider before buying the best lighted vanity mirror for you. Almost every new design today features a LED lightning because LED lights are energy-efficient and provide natural light. On the other hand, standard bulbs have a ‘yellowy’ light which does not match the natural daylight. 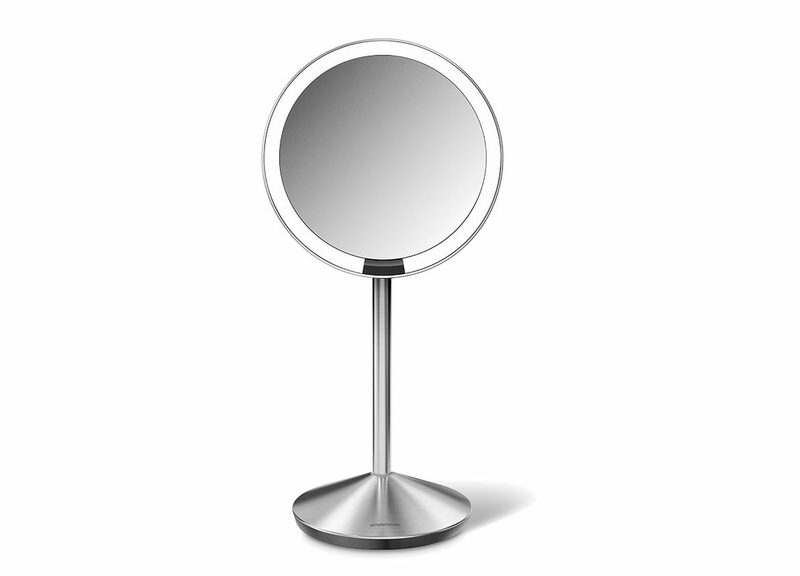 Before buying a vanity mirror, make sure you have your needs and preferences in order. If you don’t have much space, buying a mirror with a cord that requires plugging in the wall might not be such a good idea. Mirrors that work on batteries are way more practical and travel-friendly. If you prefer a full-face view when doing your makeup, the bigger the mirror, the higher your satisfaction will be. On the other hand, heavy-weight and large mirrors are not as portable as smaller, light-weight makeup mirrors. You don’t want to end up spending money on vanity mirrors that will last for only a few months. Always check the warranty before making a purchase. The price for the best lighted vanity mirror can vary depending on all features above mentioned. You can find a model at any price between $5 and $500. 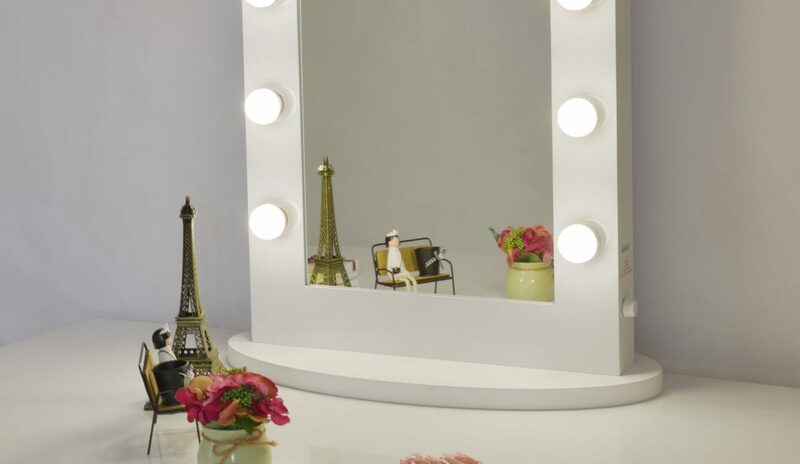 On the lookout for a bargain, Walmart might have some decently-priced options or, when it comes to an affordable vanity mirror with lights, Ikea might have a few of them on offer. Or check out some of the Walmart discounts which may come in quite handy.